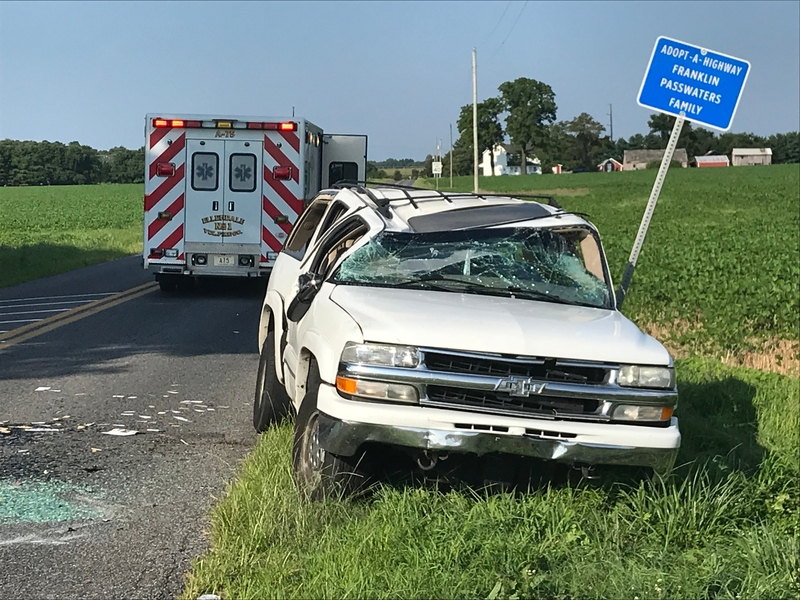 On Saturday, August 5, 2018 at 17:19 hours the Ellendale Fire Co. was alerted for an MVC at Fleatown Road and Clendaniel Pond Road. Crews responded to find a two-car MVC with rollover and injuries with heavy vehicle damage. Under the direction of Deputy Chief Jones, EMS crews from ambulances A-75 and B-75 assessed six occupants for injury while Rescue 75 stabilized the vehicles and cleared debris from the roadway. Fleatown Road and Clendaniel Pond Road experienced temporary lane restrictions as fire police directed traffic for the safety of emergency responders and patients on scene. Deputy Chief Jones placed the scene under control at 17:36 hours, three patients were transported to the hospital, and the scene was turned over to the Delaware State Police.